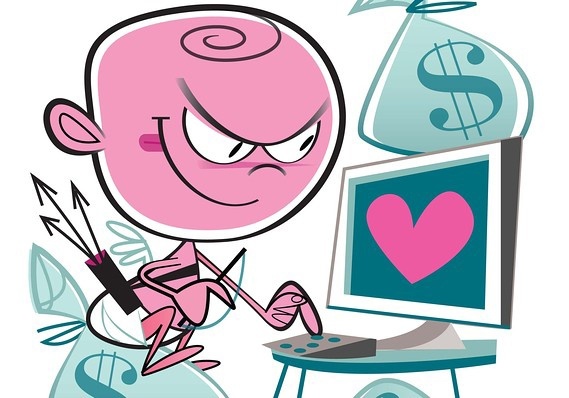 The Stock Exchange and Dating, is there a difference? Like many things in this world, relationships form complex systems that are difficult to understand and almost impossible to predict. However, there are general guidelines to complex systems that we can apply to relationships to make them easier for our simple minds to grasp. The stock market is one of the more popular complex systems today, which we can use for this purpose. Monitoring behaviours, movements and roles that occur in the stock market, we may be able to better understand why we are attracted to certain types of people, why certain people are attracted to us, how we can improve our strategies and who we are, hypothetically, best suited for in varying life circumstances. We might even forecast with a certain degree of certainty the messy trajectory of our all-too-human hearts. In each relationship, one person is predominantly the Investor while the other is predominantly the Stock. While both are investing in each other in some way, to a certain degree, the Investor has more to lose than the Stock. Likewise, while both are proving their value to each other in some way, the Stock has more to prove than the Investor. In general you are the Investor if you are more attracted to people based on their ability keep up with you and/or make you look better. You are the Stock if you are more attracted to people who have the ability to support you, better you or otherwise believe in you. It is neither better nor worse to be the Investor or the Stock because both roles come with their own set of advantages and disadvantages. You play these roles based on the cards life has dealt you and what you have done with them so far. Stocks and Investors can morph into different types and even switch or play dual roles simultaneously throughout their lifetimes. The success of each relationship primarily hinges on market circumstances when an Investor decides to invest in a certain type of Stock. Disturbing environments breed disturbing relationships, smart environments breed smart relationships, unnatural environments breed unnatural relationships, rich environments breed rich relationships, lazy environments breed lazy relationships. “Investors” put their money into stocks, real estate, etc., under the assumption that over time, the underlying investment will increase in value, and the investment will be profitable. Typically, investors do not have a plan for what to do if the investment decreases in value. They hold onto the investment in hopes it will bounce back and again become a winner. Investors anticipate declining markets with fear and anxiety, but usually do not plan ahead of time how they will respond to them. When faced with a declining (bear) market, they hold their positions and continue to lose. We all know investors. In many cases it was us before we realized how dangerous buy-and-hold investing can be to our savings. Investors do have some knowledge of trading. But that knowledge is tainted by how it is all too often described in the financial press. “Trading” is risky, dangerous, foolish, bad, involves a great deal of work, etc. On the other hand “investing” is good, reliable and safe. Investors had a taste of what “buy-and-hold” can do to their capital in the recent 2000-2002 bear market. But many do not realize just how far in the hole that bear market put them. The S&P 500 declined 50% and the Nasdaq declined 80%. 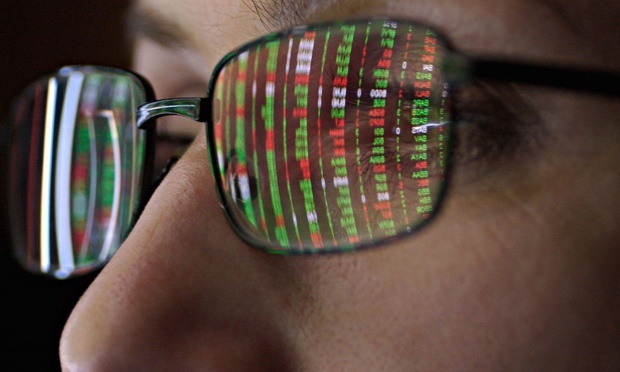 How easy is it for the markets to regain those losses? It will take a 100% gain to make up the losses for those invested in in the S&P. It will take a 250% gain to make up the losses in Nasdaq investments. When a powerful advance is measured in 20% to 30% moves, you can easily see how long it will take to regain those huge losses. In the last several years of market gains, we have come nowhere near accomplishing this in the typical index fund. It is likely to take investors many more years to get back just to where they were in 2000. It is our connection to each other that gives meaning to our lives. Our caring for each other is often what motivates us to make change. And establishing connections with people from diverse backgrounds can be key in making significant changes in our communities. 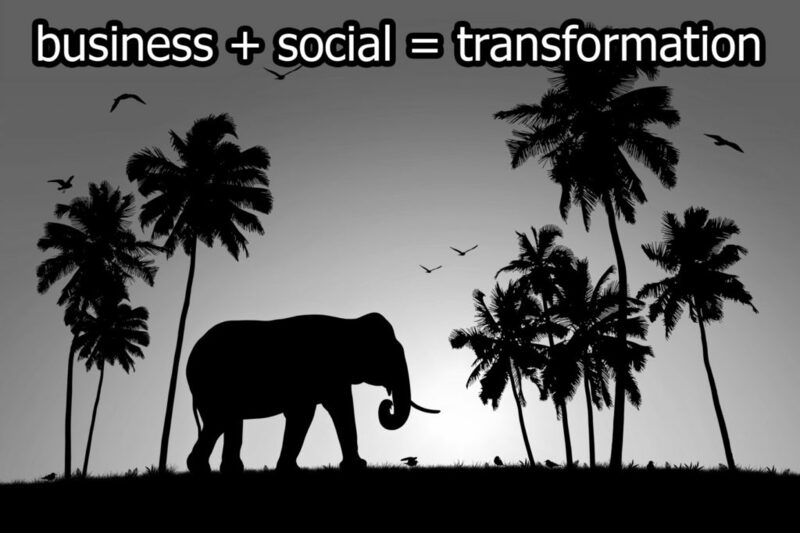 As individuals, and in groups, we can change our communities. We can set up neighborhoods and institutions in which people commit themselves to working to form strong relationships and alliances with people of diverse cultures and backgrounds. We can establish networks and coalitions in which people are knowledgeable about each other’s struggles, and are willing to lend a hand. Technology and The Internet of Things (IoT) is an amazing innovation. But even as it’s shrunk the world and brought us closer together, it’s threatened to push us further apart. Like any useful technology innovation, to make technology serve us well requires the exercise of good judgment. 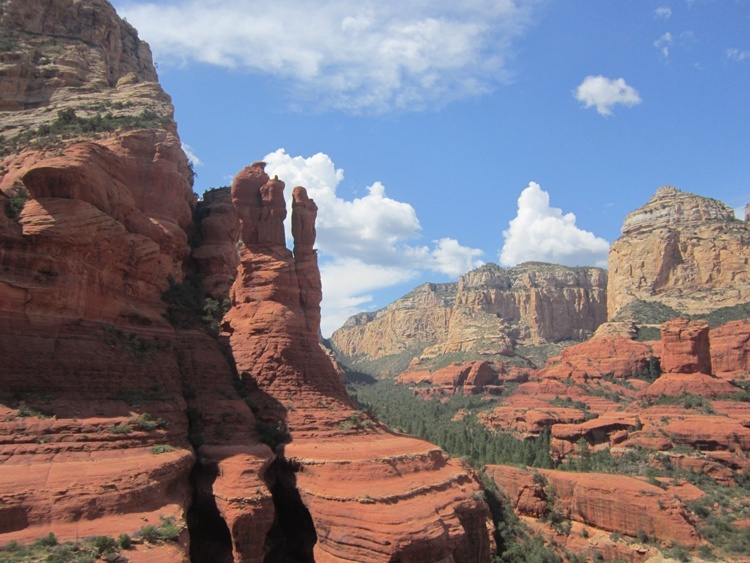 I recently visited Sedona – Arizona in the United States of America, whilst this visit was a vacation I was pleased to catch up with my friends and in particular Maia Kincaid, PH.D and author. We met at the ChocolTree Café on W.89A in Sedona, I have been fascinated by this café every time I have visited Sedona, ChocolaTree is a sanctuary garden café set in the beautiful Redrock of Sedona, so I was pleased to have the pleasure to meet Maia for a true author discussion over lunch. Maia came to understand that fulfillment in life is generated primarily by an attitude or manner of relating with oneself – a way of being with oneself and in the world. This primary relation with oneself she discovered served as the foundation for well-being, contentment and relations with others, and the environment. With Maia’s sincere desire to make a difference and her joy in encouraging others to their success she discovered her own sense of purpose and realised her talent as a mentor and coach in life. In addition to the delight she experiences communicating with pets and their people, Maia, discovered her absolute delight in people awakening to their natural ability to talk with animals and even more wonderful for her is when a new Animal Communicator emerges and talks with people and their pets, and gives classes too! 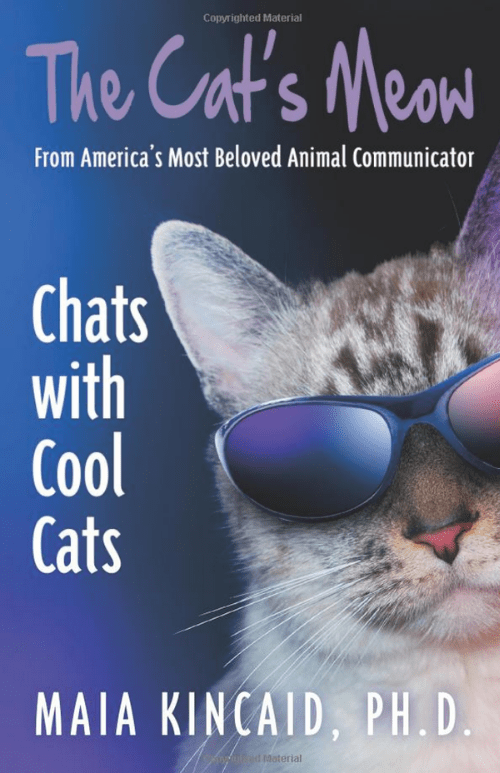 Maia discovered that having great Animal Communicators out in the world doing the work is the fulfillment of her dreams. Hence the creation of The Sedona International School for Animal & Nature Communication and Animal Communication University. Through her programs Maia is out to have every animal have their voice! With each new extraordinary Animal Communicator, Nature Communicator & Veterinary Animal Communicator successfully communicating with animals and their people that many more animals have their voice. The voice of animals is our access as human beings to the love and wisdom which transforms life for us humans, which transforms life for animals and the planet. We need their point of view, their love and their wisdom to help us come home to ourselves and compassionate living on the planet. An amazing story, I asked Maia if there was one thing that she was exceptionally proud of in her life, she replied “One thing I have learned for sure in my conversations with animals is that what I or another human may see as the limit to what’s possible is not the same as what the animals see. They continually amaze me with their request to simply open our minds and hearts. And when our minds and hearts are open, a whole new adventure begins – beyond what we can even imagine is possible! Amazing, it was great to meet Maia and hear about her new book and developments/successes with the animal world, Maia truly has an amazing gift to community and society, imagine if all humans could connect with each other the way Maia connects with animals, truly it would be profound for collaborating and communication. Can you disconnect from the office on vacation? While some business people avoid e-mail and mobiles during their time off, others find it tough to remain out of contact. Anyone who has sat on a Caribbean beach this summer will be familiar with the trill of mobiles producing an instant response among supposedly off-duty executives. Mobile phones, BlackBerries, WiFi and sub-miniature laptops make it all too possible to pack the office along with your luggage. But how in touch or out of touch should businesspeople be? So what happens if you run your own firm? It is true to say that people get stuck in particular patterns that need breaking, making the point that if a company cannot operate for a few weeks without one particular employee, then the other people on the team haven’t been hired well or trained properly. Remember also that anyone can fall ill, or have a family crisis, at any time. They can be taken away from work by such things at no notice, for long periods of time. A Penna research study among 600 chief executives, managing directors and directors of FTSE 250 companies has shown that an overwhelming 10 per cent of these people are bordering on “derailment”. This is part of a study that was undertaken on EQ (emotional intelligence quotient), which is intended to help people better understand their emotional and social functioning – to be more successful with less effort and consequences. For leaders this is a useful tool, as it helps them to assess their ability to empathise and connect with staff, which in turn directly affects the productivity and morale of their employees, especially in a recession and in adversity. 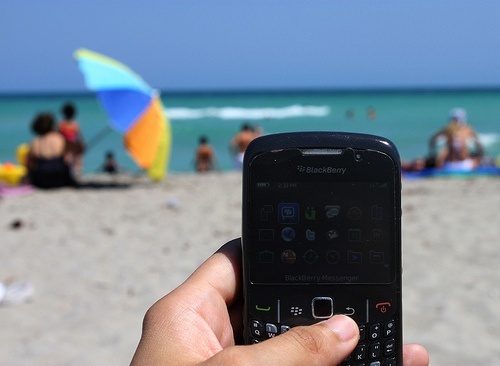 When executives take their Blackberry to the beach they are fundamentally putting their health at risk. It also shows a lack of trust in their colleagues to handle situations while they are away. They are not allowing themselves to de-stress, which can result in the derailment of themselves and, potentially, their businesses. The biggest obstacle to disconnecting isn’t technology: it is your own level of commitment or compulsion when it comes to work. If you work 80 hours a week, 50 weeks a year, you may find it pretty hard to get your head out of the office – and even harder to break the association between hearing the ping of an incoming email and immediately shifting into work brain. That association is exactly why it is so useful to develop strategies that put your devices in vacation mode. You probably don’t leave Oreos in the cupboard when you are dieting; for the same reason, it’s best to put work out of arm’s reach when you’re on vacation. Instead of relying on sheer willpower to keep you from checking in on work, you can use your vacation tech setup – and a little up-front planning – to support your efforts to minimise work time. With that setup in place, you will be able to enjoy the benefits of online connectivity and digital tools, it is even more important to get away on a very rare occasion even if it just to breathe and keep all of your personal relationships in order as well as the benefit of disconnecting from work. And instead of apologising for bringing a phone on vacation, you will be able to relax even with your devices in tow. Is Strategy within Digital Transformation Important? I have been invited to a very interesting conference next week called, Enterprise Digital Summit London the conference is aimed at digital transformation and driving business value with digital and social collaboration. The event is focused on business process and ROI aimed at people in business who want to find out how, as well as to listen from experienced practitioners and consultants. The event will take place on Thursday 22nd October at The British Academy for the humanities and social sciences, 10-11 Carlton House Terrace and the speakers include Stowe Boyd (Gigaom Research) other speakers include Professor Vlatka Hlupic (Westminster University and author of The Management Shift), Stanley Awaku (Vodafone), David D’Souza (CIPD), Kim England (Pearson plc), Belinda Gannaway (Belinda Gannaway Consulting Ltd), Björn Negelmann (Kongress Media). What are the strategic building blocks for Digital Transformation? One of the greatest challenges for managers is persuading senior leaders to more fully embrace digital within their organisations. Many managers have a good idea about what they want to do, but need to argue or build the business case internally in order to receive funding. In many cases, this is the major barrier to moving towards digital transformation. In those organisations where digital is not given much prominence, it is usually because the business has not yet been affected by a real negative impact on their revenues because of digital. Leadership teams have been forced to look holistically at their organisation and consider where digital can play a major role in improving performance. In organisations where this is not a problem, digital is likely to be either a key revenue stream, an operational necessity or a key differentiator, so digital is the key part of the overall business strategy. What will it take to break down the barriers to digital engagement, so that organisational leaders and other senior professionals will commit themselves to digital transformation? First and foremost, they have to make a mental shift, to recognise that it’s actually in their best interests to give serious consideration to how they and their organisations must adapt to Digital Era realities in significant ways. Time- Change of this magnitude is going to be slow, especially in industries and organisations where there is not much precedent for the potential value that new technologies and ways of working can offer. It will take time to shift perceptions of Digital Era technologies from novelties to utilities, and from short-term fads to long-term trends. Increased media exposure – A year ago, little was written in the mainstream press about topics like digital currency and cybersecurity. More recently, ideas like digital transformation and cognition as a service are still being introduced. The more subjects like these move from technical and niche publications to more widely-read outlets, the more likely their importance and implications will be understood. Education and training – Both formal and informal approaches to learning – especially programs targeted to leaders and experienced professionals – will help accelerate the necessary shifts in knowledge and understanding, and ultimately behavior. Academic institutions, private service providers, and employers themselves need to make digital literacy a strategic imperative for workers at all levels in a all types of roles. Relatable market leaders – The more examples there are of organizations that have successfully undertaken digital engagement and transformation initiatives, the less resistant later adopters are likely to be. These examples have to come not just from the consumer space, but also in business-to-business enterprises, the public sector, higher education, non-profit organisations, and more. As we emerge from the economic doldrums we’ve been in for years, organizations with stronger appetites for risk will take chances and start to reap visible rewards. When they do, others will start to follow. Employee engagement is the key to business success. It is the result of the psychological contract plus the experience that exists between employee and employer. The foundation of employee engagement is respect, trust, and performance. Engagement is dynamic because it changes over the course of an employee’s tenure at a workplace and overall career as a consequence of multiple events and factors. Engagement is intrinsic and individual. In conclusion, engagement is all about “I.” It is a voluntary connection to the business and to its purpose; it includes an emotional component to the workplace in order to achieve its desired outcomes. Employees decide if they want to be engaged. Thus, even though employee engagement entails an emotional connection, it also involves a rational component as the employee decides whether or not to be engaged given her individual circumstances. We have concluded that, even though many workplaces may seem to be similar, they are as unique as the individuals who belong to them, which in turn affects what it means for employees to be engaged with the organisation. As you may expect, the definitions and explanations of employee engagement are as varied as the authors who have proposed them; however, they have some similarities. These definitions include emotional, rational, and practical features that are connected to engagement’s impact on businesses as well as on employees. In general, these definitions refer to engagement as voluntary. Each well-known definition includes these important components; in addition, there are other factors that contribute to move employee engagement in a particular direction. These factors are typically known as drivers of engagement. Spend more time on high-impact, high-growth activities. These activities are where you want to spend as much time as possible. With these maneuvers, you spend less time going around in circles. Identify true opportunities versus false starts. If you know what you’re best at and where you want to go, you can more quickly identify true opportunities. Strategic planning helps you put the boundaries on your business. When you ignore extraneous distractions, you use your resources more effectively and more quickly to grow your organisation. 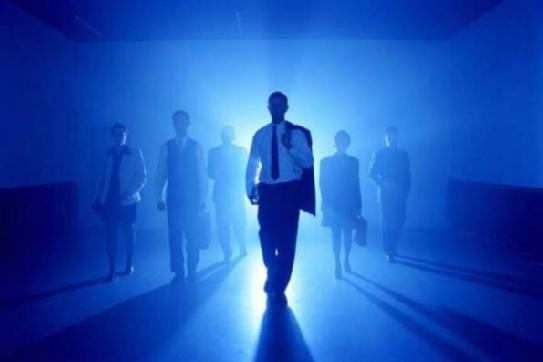 Internal advancement, such as in your career as a leader, can come from being involved in strategy development and using it as a true guide to your work. Achieve your vision for success. You started your organisation for a reason. You likely have a vision for your business. If you want to achieve your vision for success, you have to specifically figure out how you’re going to get there. Having a strategic plan makes success intentional. Increase employee commitment. Strategic planning increases employee commitment — especially in this tight labour market. Helping your employees see the vision that you have for success and growth helps you work toward that goal. Changing an organisation’s culture is one of the most difficult leadership challenges. That is because an organisation’s culture comprises an interlocking set of goals, roles, processes, values, communications practices, attitudes and assumptions. Changing a culture is a large-scale undertaking, and eventually all of the organisational tools for changing minds will need to be put in play. However the order in which they deployed has a critical impact on the likelihood of success. In general, the most fruitful success strategy is to begin with leadership tools, including a vision or story of the future, cement the change in place with management tools, such as role definitions, measurement and control systems, and use the pure power tools of coercion and punishments as a last resort, when all else fails. I would welcome your comments on your management experiences.